About the Author - What happens AFTER we die? 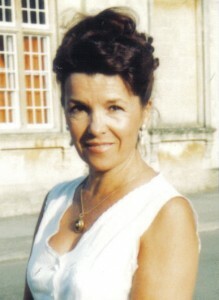 I am Brigitte Rix, a clairaudient medium. A French native speaker from France, I am a bilingual French Language tutor (University, Adult Education and Businesses), now retired. I came to the UK in 1964 and later married David Rix, (Dave), a Language lecturer at the University of York. We have two children James Christopher (Jim) and Anne-France. I am also a trained therapist in complementary medicine, a qualified healer and a ‘fitness to music’ trainer. Since January 1983, I have been communicating, warily and safely, with people who have passed over, yet who are still alive… and now feel happy and in perfect health! Moreover, apparently my thirst for KNOWLEDGE – but also my chosen life plan- attracted Teachers & Masters from higher levels: they link to even more Advanced Beings BEYOND the vibrations of the ‘Spirit World’, to enable them to channel through what they wish to impart to Mankind. They told me I could not keep for myself such enlightening channelled teachings: they wanted them shared and explained to open other people’s minds. So, as well as publishing those dictated revelations, I travel to give talks and answer my audiences’questions. I want to share with you what I have discovered and can do, to help those ‘seeking the truth’ about the Afterlife.